Find a comfy spot to relax at the Java & Script Cafe at Pretoria HOMEMAKERS Expo. Enjoy a freshly brewed cup of coffee while browsing the bookshelves, plan your dream home, meet friends or get started on reading your new book in this cosy restaurant area. 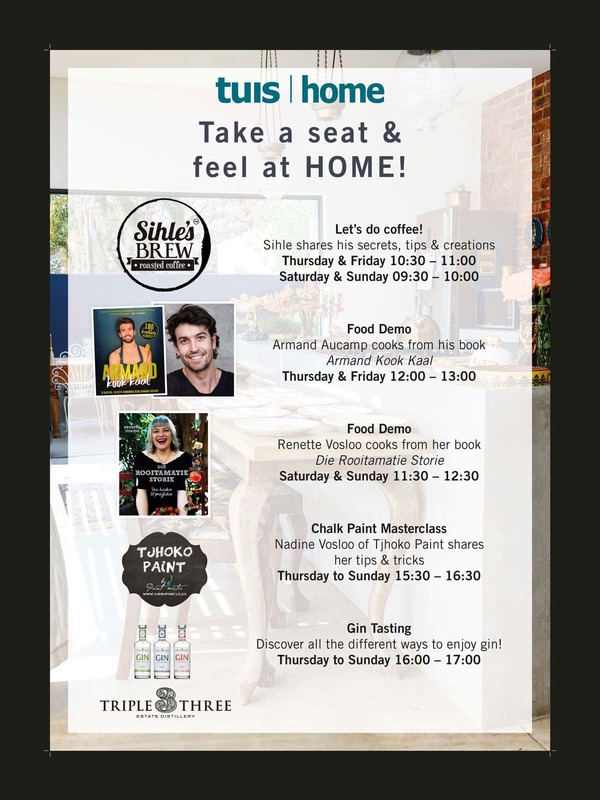 Pretoria HOMEMAKERS Expo returns to Sun Arena, Time Square from 24 – 26 May 2019. Celebrating Raw Comfort the show will be an unrivalled showcase of the best home improvement, home lifestyle, home decor and home appliance experts and artisans.